Splash'N Boots won Children's Record of the Year, which Doyle produced. 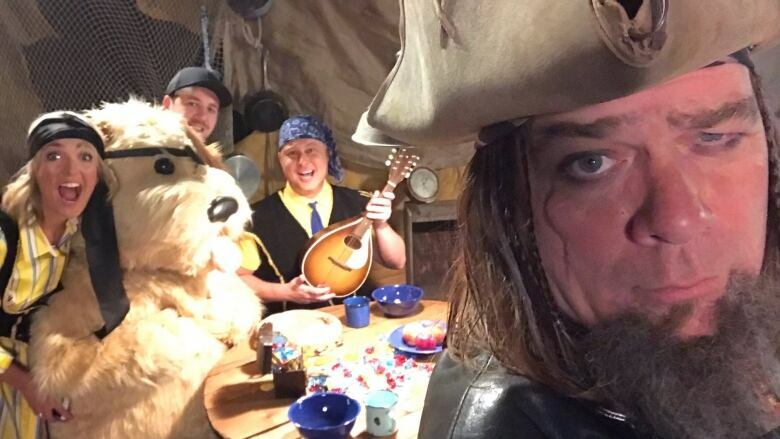 He may be attached to the children's record that nabbed a Juno award this year, but Alan Doyle knows his place. "There is an asterisk ... I produced the kids' record Splash'N Boots called You, Me and the Sea that won the children's record of the year," Doyle said. "So I kinda won a Juno and I kinda didn't win a Juno. They won a Juno and I'm very happy that they did," he added, laughing. Doyle is a crooner of all types of songs, from traditional toe-tappers to pop-rock ditties, but this foray into kid's tunes was a first. "When I went to meet [Splash'N Boots] about it, when they inquired about it, I sat with them and I said, 'I hope you know the only reason I want to do this is because I don't know how," he said. Doyle said he knew the group's manager for a long time and when the possibility of working on a "Celtic-based kid's record" came up, Doyle and the members of Splash'N Boots wrote several songs together. "We knocked it out of the park, cause they won the Juno. Congratulations to them," Doyle said. Other highlights of his Juno weekend included the Songwriters' Circle, which Doyle hosted. It's billed by the Junos as a showcase that lets "fans and guests experience rare collaborations between artists and get the inside scoop on the inspiration and process behind their favourite ballads, anthems and tunes." "[It was] fantastic, fun, bunch of great musicians, singer-songwriters, including David Foster," he said. Doyle even had a wardrobe highlight for the awards show weekend. "You know what? I am wearing somebody," he said. "Mandy Lee Dawe is a St John's designer and she made me a vest."